We took our kids to see Frozen over the holidays and they have been smitten ever since! They talk about it often and my daughter, Lillie Kate, has her eye on some Frozen Valentines at Target that she’s really wanting. The other day one of them mentioned the movie again and I starting thinking about a frozen snow princess. 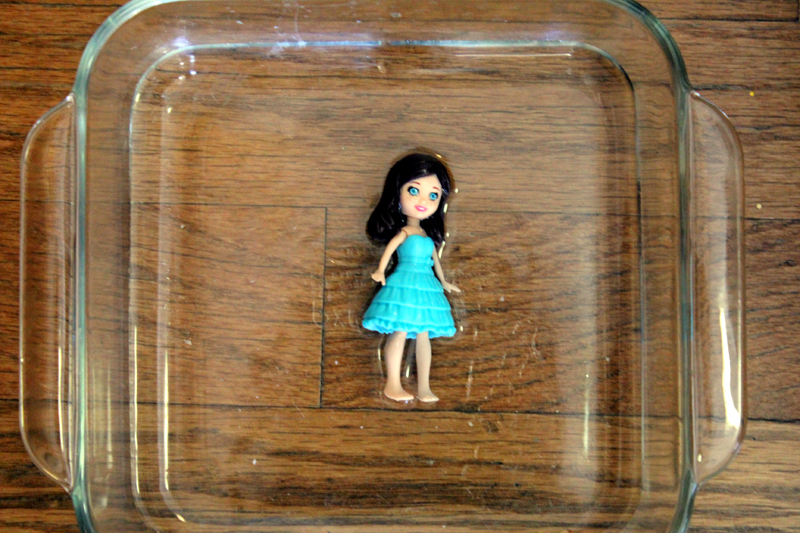 The next thing you know I had a Polly Pocket doll in water in my freezer y’all. Yes, because that’s how a teacher’s brain works apparently! 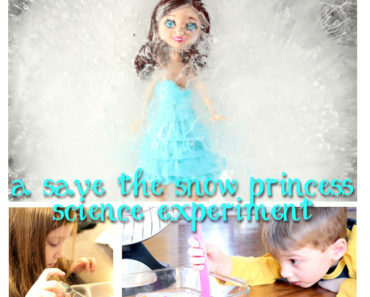 When I thought about a frozen snow princess, my next thought was why don’t we freeze one and turn it into a fun science experiment? And that’s exactly what we did. First, we taped the “Snow Princess” (a.k.a. 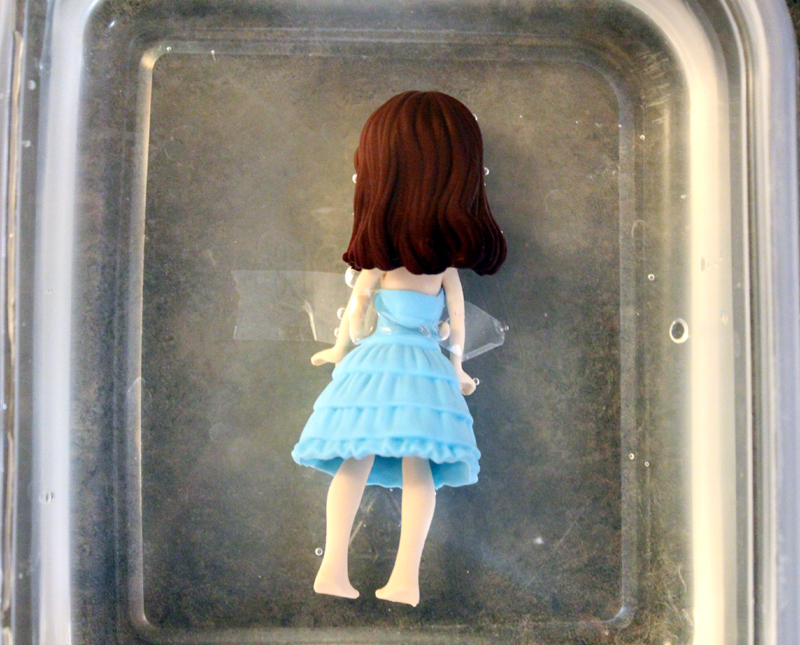 Polly Pocket doll) face down in a plastic storage container. You don’t necessarily have to do this, but it keeps her in place and you can see her face once she’s frozen. 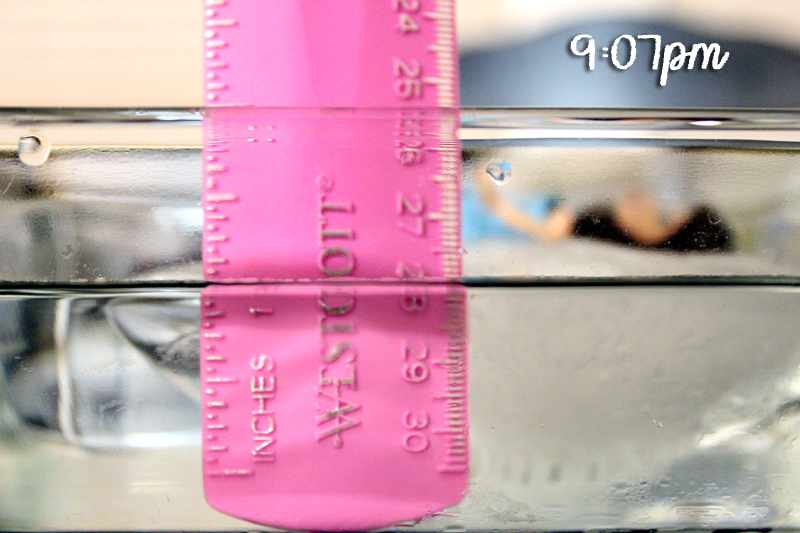 The particular container I used held 2 quarts of water so we filled it up with that amount. 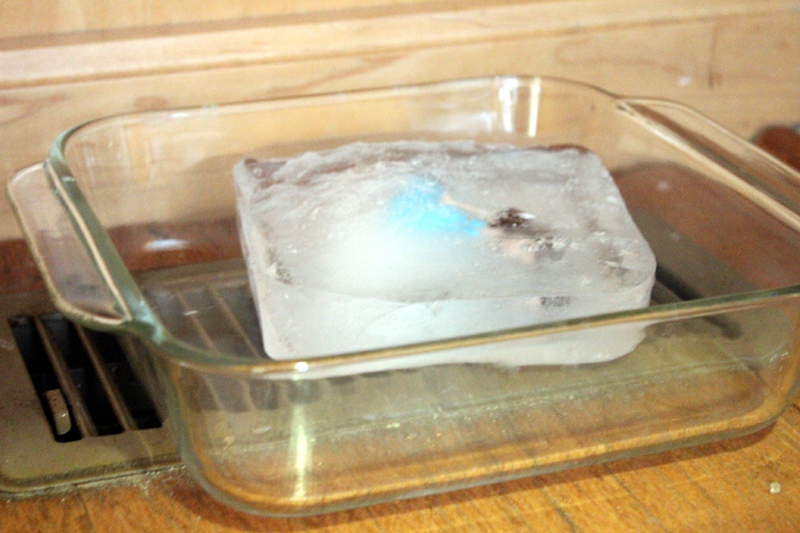 Then we put the container in the freezer overnight. Oh no! By the next morning, the Snow Queen had worked her magic and the poor Snow Princess was trapped in ice! Our job was to save her by melting the ice. In order to do that, all of the ice had to be melted. We could only pick her up and rescue her once she was lying in water. We made predictions on how long we thought it would take the ice to melt. 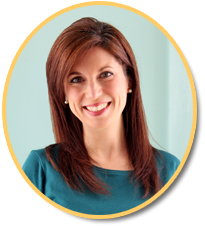 Lillie Kate, my 8 year old, predicted 4 days; Talmage, my 5 year old son, said 6 days; My husband thought 2 and 1/2 days. Turns out, they were all wrong! We freed the Snow Princess from the Fortress of the Freezer at 1:45pm. 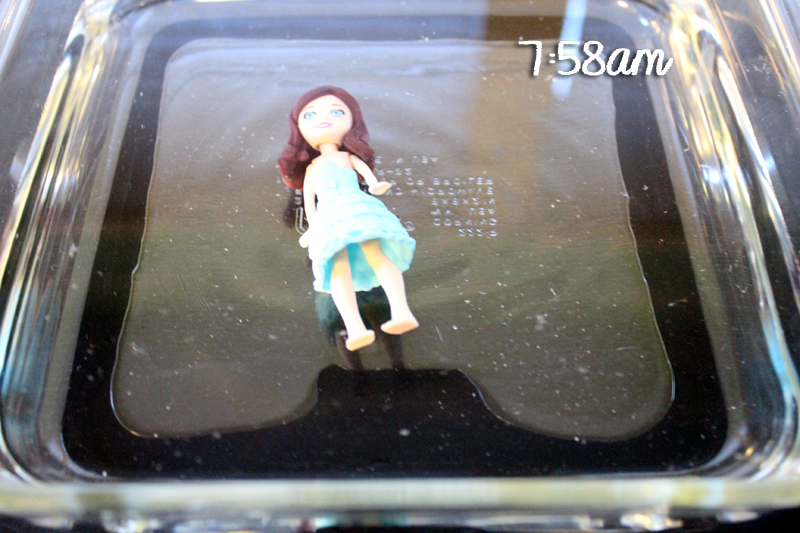 We place her into a glass pan and recorded the time and temperature (68 degrees) in our house. Throughout the rest of the day, we’d check on her and measured how much water was in the pan. 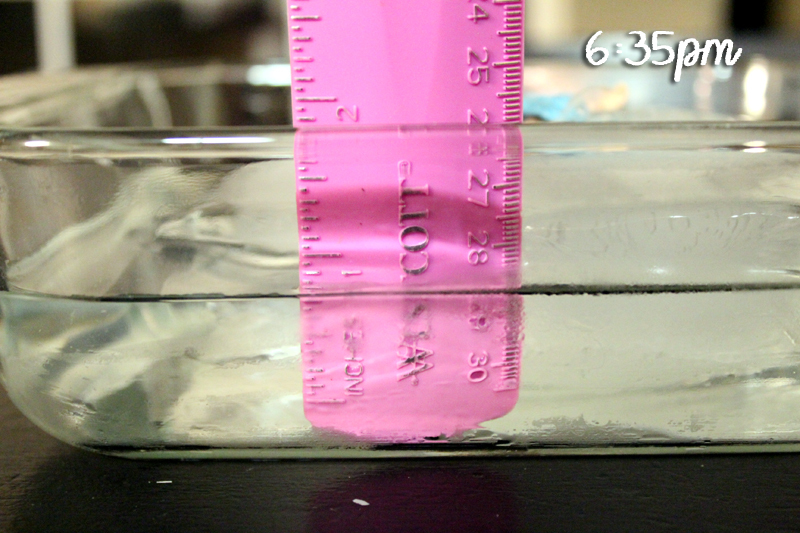 By 6:35pm, the ice had melted a good bit and there was 3/4 in of standing water. We didn’t check again until morning but when we came downstairs at 7:58 am, she was free! 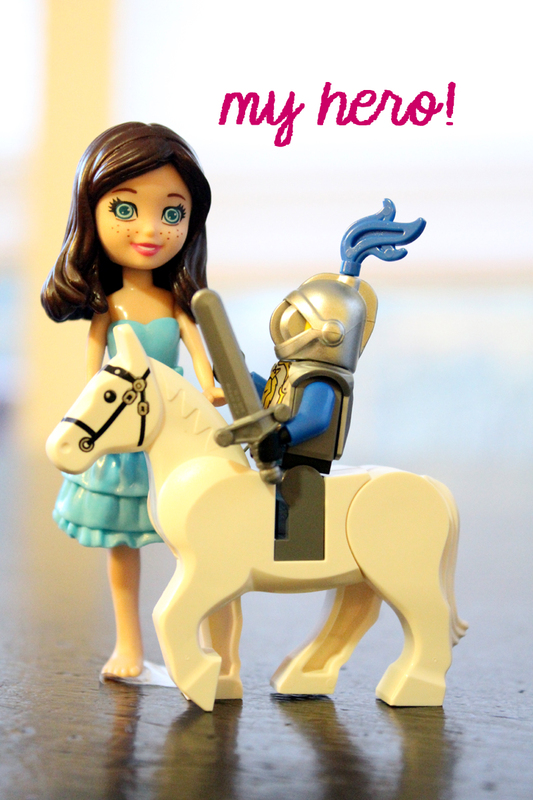 We jokingly said she really needed a prince to rescue her and my son quickly ran upstairs and brought down one of his Lego knights! What he lacks in height he makes up for in bravery, right?! So our original predictions of days were way off. It only took us less than 24 hours to rescue her! We had so much fun with this little experiment that I thought we’d do it again with a different spin. 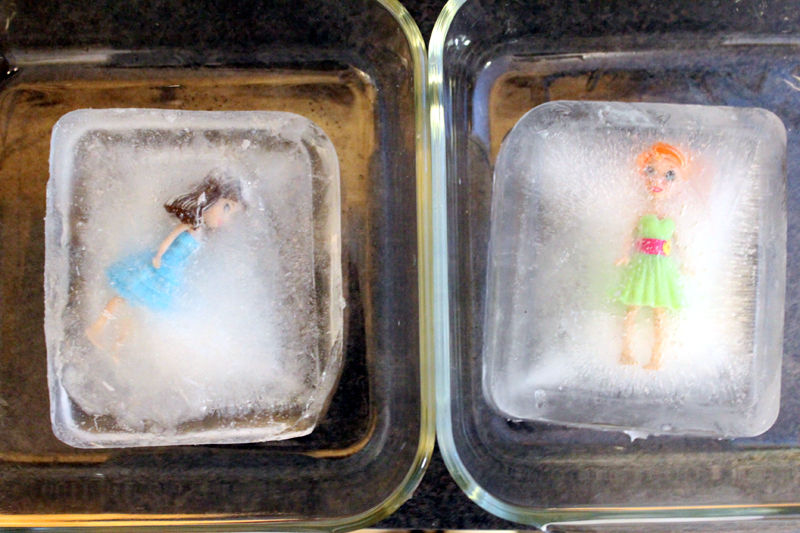 This time we froze two Polly Pocket dolls and my kids each had a Snow Princess of their own to rescue. We turned it into a race. Whoever got all their ice melted and rescued their Snow Princess first won. 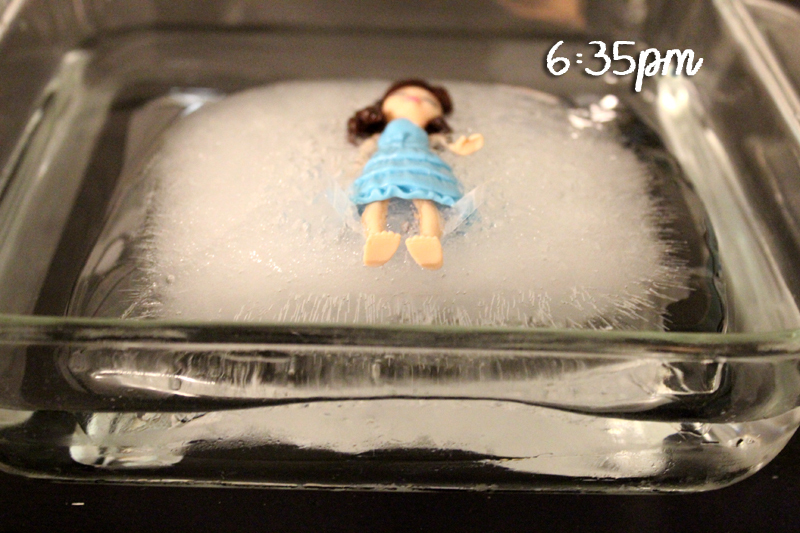 They also got to place their Snow Princess anywhere in the house in an attempt to try to melt the ice faster. 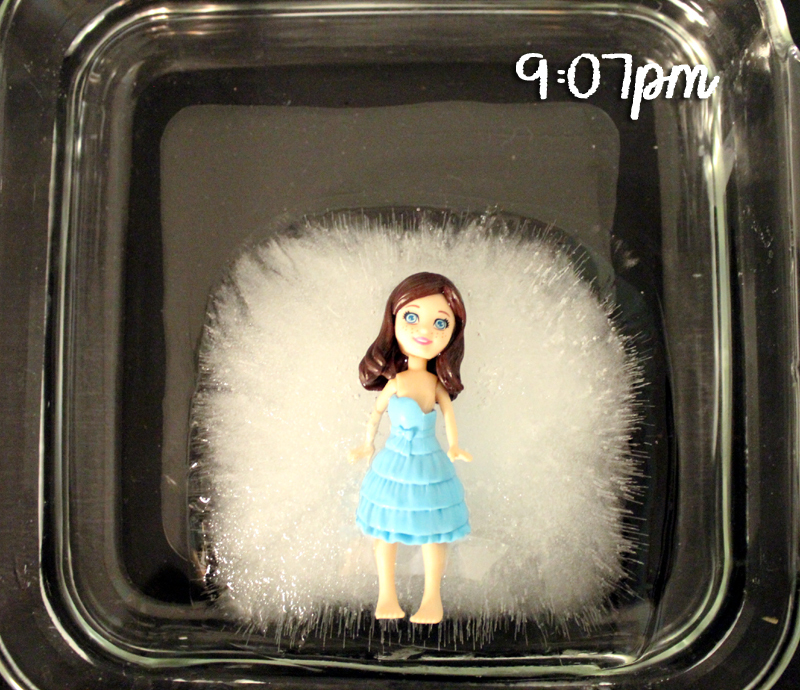 This time we used smaller containers and only 2 cups of water when we froze the Snow Princesses. We released them from the Fortress of the Freezer at 8:45am. Who says you can’t do science in your pjs? Lillie Kate chose to put hers on the air vent in our kitchen that is under a built-in desk. She said she thought the heat coming out of it would melt hers faster. Clever girl! Talmage was going to put his on an air vent in the den that was in front of a window because he said there would be heat from the air vent and maybe the window. But when I was taking some of the pictures I walked in front of a space heater in our kitchen with one of the Snow Princesses and he said, “Don’t get her in front of the heater, she’ll melt!” I said, “Oh! She’ll melt?? ?” I saw the light bulb go off and he said, “Wait, I change my mind! 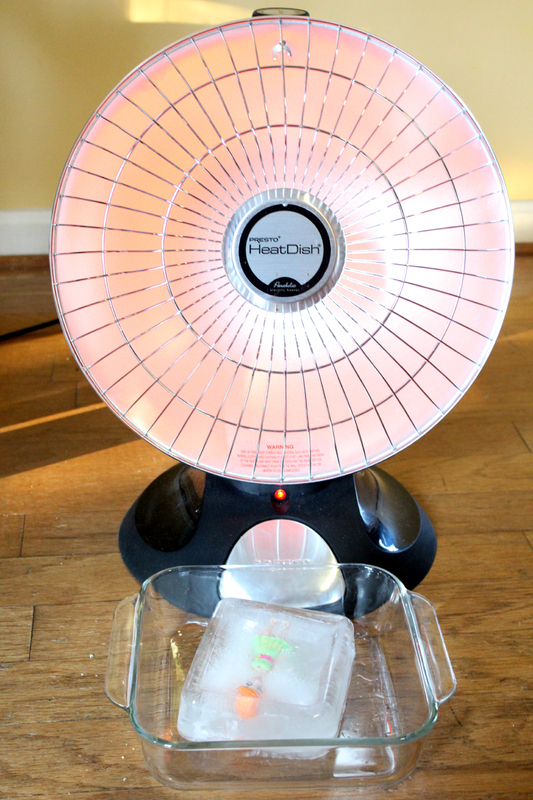 I’m putting mine in front of the heater!” And there she went! They anxiously checked on their princesses all morning long. By 10:25am, they both had about 1/4in of water in their glass pans. By 11:45am, we had a winner! Lillie Kate’s on the air vent melted first, but Talmage’s was very close behind. 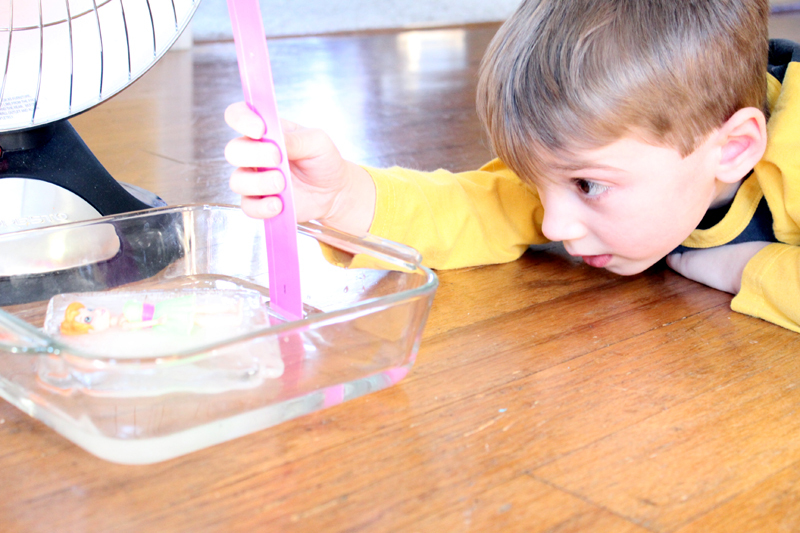 The last of his ice melted about 5 minutes later! We had so much doing these experiments and I love that they’re learning and they don’t even realize it! We predicted, measured, observed, recorded, thought critically, made inferences, and learned about the states of matter all without ever cracking a book. 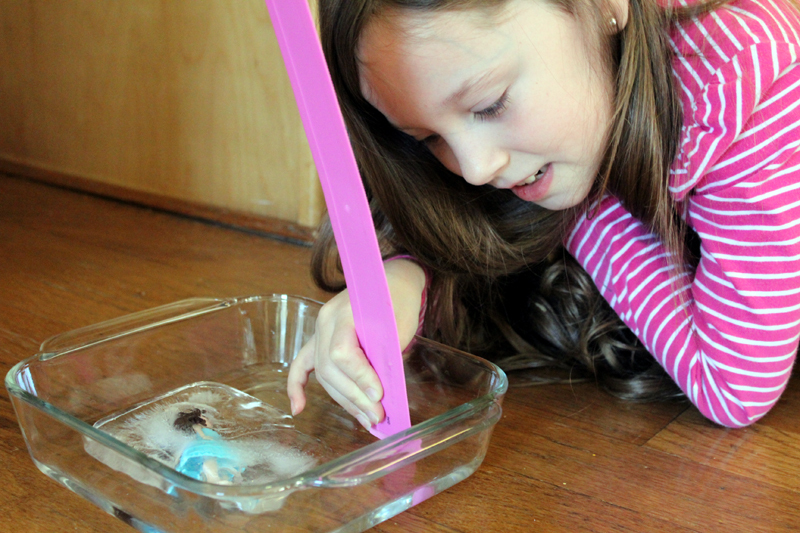 While we homeschool, these same two experiments are easily adapted to the regular classroom. 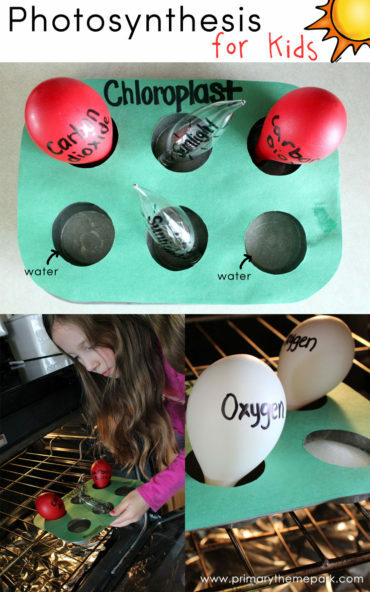 This could be done as a whole class experiment or working in pairs or small groups. My advice would either be to do a small about of water (our 2 cups took about 3 hours to melt) or a really large amount (so it will take more than a day to melt) so the kids are in class to actually observe it. 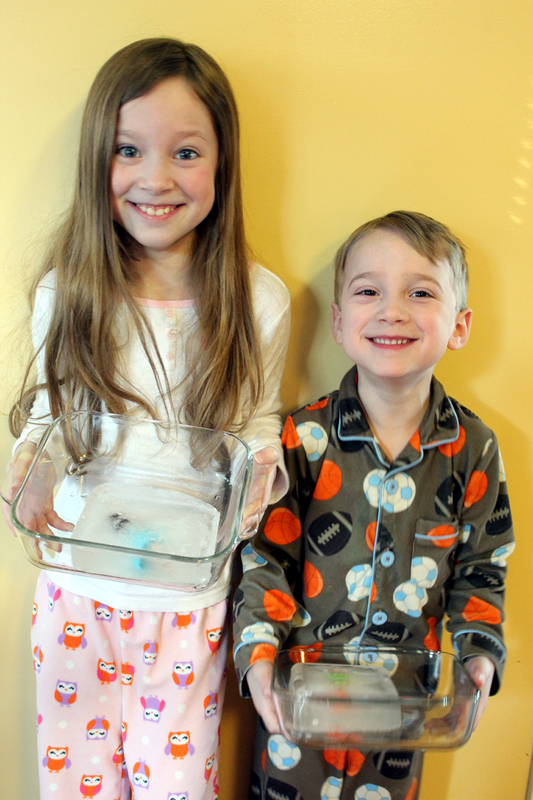 Our first experiment melted overnight and it was really fun for my kids to see the ice melt the second time around instead of waking up to a pan of water. So if your littles love Frozen, go rummage around your house for a Polly Pocket or Barbie or two or three and banish them to the Fortress of the Freezer. Then have fun watching, rescuing, and learning! 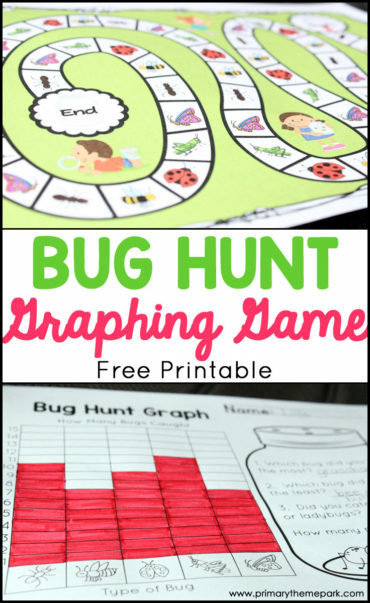 Update 01/20/14: I’ve had a lot of great response to this post on Pinterest so I thought I’d add a recording sheet for anyone doing the experiment. I also included the snow princess graphic I drew as a coloring sheet. Right click HERE and save to download to your computer, then print. Hope you enjoy! Love this, we are having Frozen Week at preschool summer camp this week and was already thinking of having a block of ice that we would measure how long to melt, but to rescue a princess also is awesome! Thanks, Ruth! 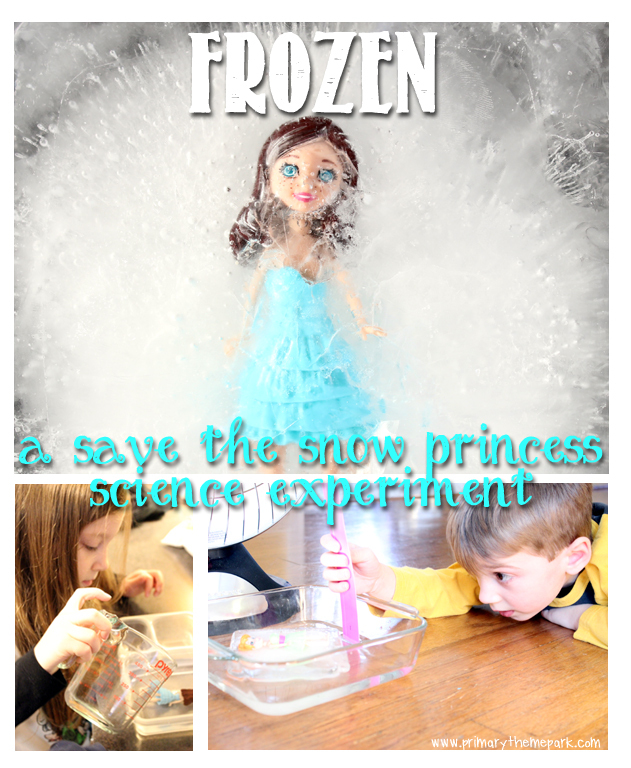 A Frozen Week is such a cute idea! I bet your kids will have a blast. Thanks for this awesome idea! I want to somehow incorporate this into my English ESL classes in winter. Thank you! I’m trying to think how this could fit in an ESL class…measurement or time maybe? However you use it, I hope your kids have a lot of fun with it!